Thank you very much for your nice review on TripAdvisor. 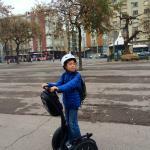 We are glad you enjoyed our Barcelona Segway Tour and hope you had a good time in our city. 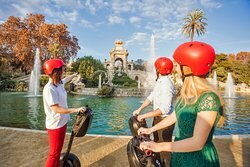 Barcelona Segway Tour & Team. 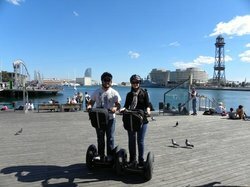 We are happy, that you enjoyed our Barcelona Segway Tour with Andi and hope, that you had a good time in our city. 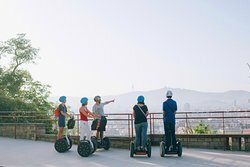 We are happy, that you enjoyed our Barcelona Segway Tour and hope that you had a good time in this city. 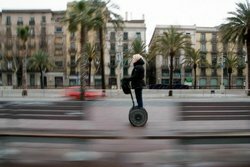 Gracias Javier & Barcelona Segway Tour!!!! 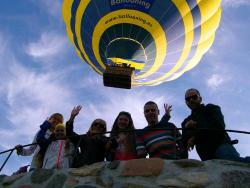 Thanks for your nice review, we appreciate the time you have spent sharing your experience with other travelers. I am sure you enjoyed Javier's suggestions about bars and restaurants. Thank you again, we hope to see you again soon.